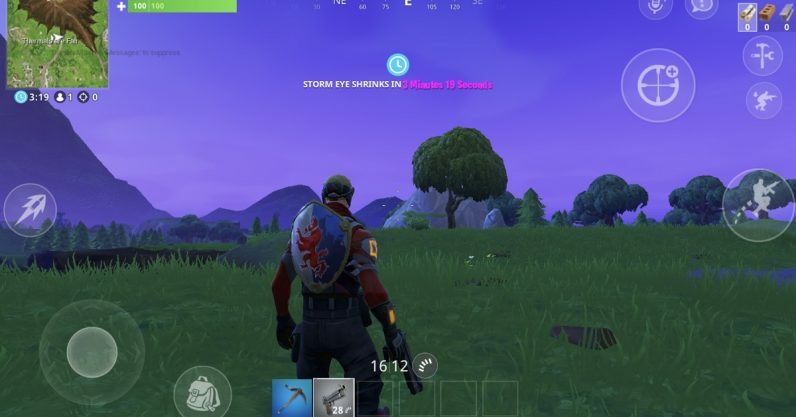 Fortnite players waiting raptly for the release of the Android version are going to have a slightly different path than iPhone users. Epic games today confirmed it won’t be offering the game on the Google Play store. So for everyone who wants to download the game when it finally releases to its one untapped market, you’ll have to download it directly from the Epic Games website. It appears to be a similar process to downloading it on the PC. In a Q&A with Eurogamer, Epic Games CEO Tim Sweeney encourages users to be very cautious not to download fake versions of the launcher: “You should look carefully at the source of software you’re installing, and only install software from sources you trust.” Good advice for everyone, and especially for younger Fortnite players (or the parents who are paying tutors to teach them how the game works). We’re trying to make our software available to users in as economically efficient a way as possible. That means distributing the software directly to them, taking payment through Mastercard, Visa, Paypal, and other options, and not having a store take 30 percent. If you look at it, the stores on the smartphone platforms actually do very little. They’ll put ads up in front of your game. When you search for Fortnite on iOS you’ll often get PUBG or Minecraft ads. Whoever bought that ad in front of us is the top result when searching for Fortnite. It’s just a bad experience. Fortnite on iOS has thus far been a smashing success, earning Epic $15 million in three weeks. There is a question, in my mind, of how much of that success is due to the relative ease of using the App Store as opposed to Epic’s own launcher. But the sheer popularity of the game means the number of people who balk at the slight difficulty of downloading outside the Play Store will probably not be a large one.